ISC Wales is one of the top manufacturers of metal goods for the arborist market. Our selection of ISC carabiners features some of their unique innovations; such as the Quadlock gate or the super compact shape of the Mini-HMS. These are carabiners you can count on. Save 15% on Save 15% on ISC Professional Arb Gear! Coupon code "XYLEM". Ends 4/18/19. ISC's large HMS carabiner is perfect for use with the Rope Wrench pulley and Rope Wrench, or connecting your belay device or climbing system. 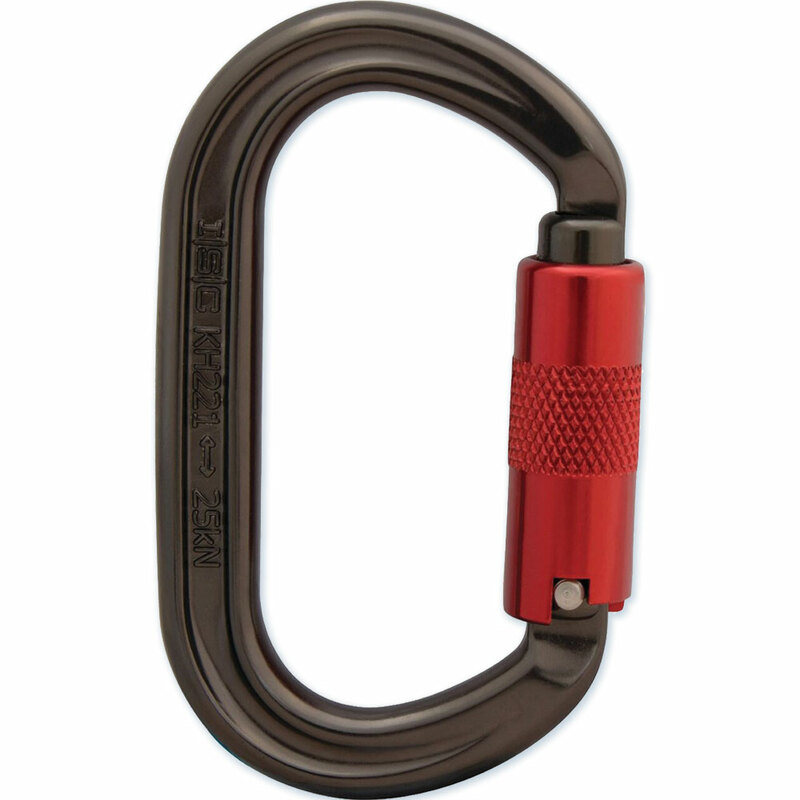 This ISC aluminum snaphook has a third action catch for increased safety and compliance with climbing comp rules. Ideal for any climbing activities that require three separate actions to open, great for use on adjustable fliplines and lanyards. Innovative features reduce the chance of accidental opening and prevent rope snagging.